Thirty years ago, Tupac Shakur participated in an on-camera interview highlighting his progressive views and 17-year-old optimism. Before the record deal, there was a divine knowing in his bold declarations and insightful observations. Although no one could have imagined the level of success this young man would see just a few short years later, his potential for greatness was undeniable. 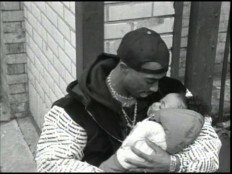 Tupac Shakur was born in Harlem, New York to activist parents in 1971. His mother, Afeni Shakur, raised Tupac to be a critical thinker and advocate for justice. His childhood was marked by extensive periods of poverty, political engagement and an affinity for the arts. 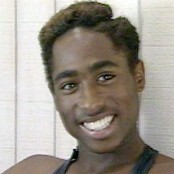 In 1988, Tupac moved to Marin City, California from Baltimore with his mother and younger sister. It was here that his professional career in music began. In 1991, Tupac released his first solo studio album, 2Pacalypse Now. While the album was not a commercial success, it showcased Tupac’s political convictions and solidified rap music as the revolutionary voice of the streets. 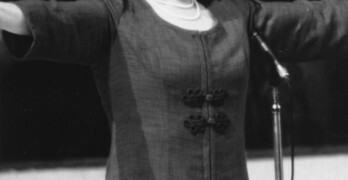 The lead single “Brenda’s Got A Baby,” chronicled the journey of a 12-year-old girl who was sexually abused by a family member. 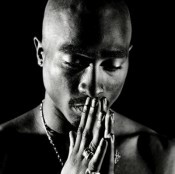 From 1991 until his murder in 1996, Tupac released six studio albums, including the first ever double CD. He was also the lead actor in six feature films. Throughout his career, Tupac was the voice of Black youth, frequently warning adults of the impending doom that could befall us all if they continued down a zero-tolerance, “us versus them” path, as it related to young people. 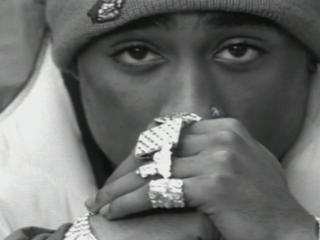 It was during this time that Tupac created the acronym T.H.U.G.L.I.F.E. ; The Hate U Give Little Infants F**cks Everyone. Over 20 years later, we are witnessing Tupac’s prediction, across demographics and geographic locations. 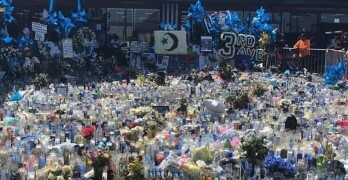 Each day seems to bring a new tragedy or controversy that has left millions wondering how we got to this point. Here are four quotes from Tupac’s 1988 interview that foreshadowed our current state as a nation on the topics of mental illness, the school to prison pipeline, suicide, and hate crimes. While the onset and course of mental illness varies widely, a report by the National Institute of Mental Health stated, 50% of all lifetime cases of mental illness begins by age 14 and 75% by age 24. There is also an 8-10-year delay between the onset of symptoms and intervention. However, with the increased public awareness about mental illness, there seems to be a cultural shift occurring in how treatment is viewed. According to the ACLU, the school to prison pipeline is a national trend that funnels children from public schools to the juvenile corrections system. Children living in poverty who have a learning disability and history of abuse and neglect are at greatest risk of receiving punishment instead of an intervention to improve academic or emotional functioning. Zero tolerance policies for even minor infractions too often leads to lifelong involvement in the corrections system. Equipping our schools with the resources necessary to ensure students receive a well-rounded education, including hiring faculty and staff dedicated to empowering students, is crucial to making schools tools of learning. According to a 2016 report by the Centers for Disease Control and Prevention (CDC), suicide is the 2nd leading cause of death for individuals ages 10 to 34 and the 4th leading cause of death for individuals 35 to 54. The rate of suicide has increased sharply over the last 30 years, with most demographic groups being affected. In recent weeks, this public health issue has garnered significant discussion and left many searching for answers, with the deaths of Kate Spade and Anthony Bourdain. As a means of collecting statistics, the FBI has defined a hate crime as a “criminal offense against a person or property motivated in whole or part by an offender’s bias against race, religion, disability, sexual orientation, ethnicity, gender, or gender identity.” Based on a 2016 FBI report, the number of hate crimes increased by 5% over the previous year reaching a five-year high. According to this report, nearly 60% of victims were targeted because of their race/ethnicity, 21% because of their religious beliefs, and 16% because of sexual orientation bias. Tupac Shakur’s reflections 30 years ago offered insights we can still learn from today. As a society, it is time we ask the tough questions necessary to spark change, and not be hindered by the inevitable blocks that arise when the status quo is challenged. Our future depends on it. If not now, then when? Thank you for any other informative web site. Where else may I am getting that type of info written in such a perfect method? I have a challenge that I am simply now working on, and I have been at the glance out for such information. Hey I am so delighted I found your blog, I really found you by error, while I was looking on Digg for something else, Regardless I am here now and would just like to say thanks a lot for a fantastic post and a all round enjoyable blog (I also love the theme/design), I don’t have time to browse it all at the minute but I have book-marked it and also added your RSS feeds, so when I have time I will be back to read more, Please do keep up the awesome job. I’ve been exploring for a bit for any high quality articles or blog posts on this sort of house . Exploring in Yahoo I at last stumbled upon this web site. Reading this info So i’m satisfied to exhibit that I’ve an incredibly just right uncanny feeling I found out just what I needed. I most no doubt will make certain to don?t fail to remember this website and provides it a glance regularly. What’s up, I log on to your blogs on a regular basis. Your humoristic style is awesome, keep up the good work! It’s genuinely very difficult in this busy life to listen news on Television, so I simply use the web for that purpose, and obtain the most up-to-date news.